Since I was also married at the Sorrento Hotel in Seattle, I am pretty familiar with all of the wonderful options for wedding photography here, and I always enjoy the chance to return to the scene of my wedding day. Sorrento Hotel wedding photography combines romance and elegance, history and the promise of the future. 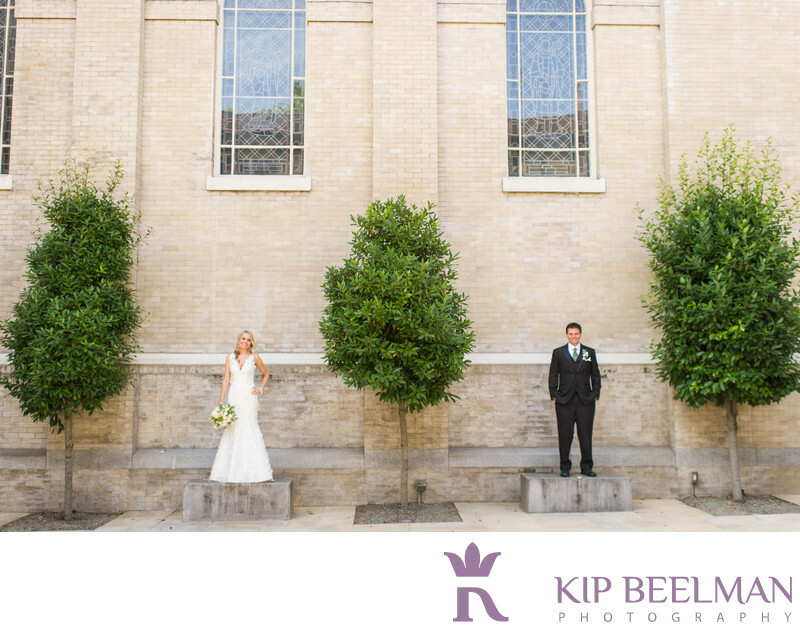 Both the bride and groom are standing tall here, embedded in the urban and natural worlds and the thrill of the lovely day to come. This small, intimate wedding took place in a luxury Sorrento Hotel rooftop ceremony where guests enjoyed incredible views of the Seattle skyline along with the bride and groom’s touching vows. Breathtaking decor accents and floral design from Rachel Bowes of Finch and Thistle Events made the day even more beautiful. The reception felt more like an elegant sit-down dinner with 40 great friends that just happened to be preceded by a wedding ceremony, making this a night to remember. For more than a century, the chic and historic Sorrento Hotel on Seattle’s First Hill has been a place “where memories are made and traditions are born.” The hotel includes rich Italian architecture, warmth, music, beauty and activity. It is also known as one of the finest locations for Seattle wedding photography and I am thrilled to have my own Sorrento Hotel wedding photos to look back on and to be invited to share in the tradition with newlyweds celebrating their special day here. Clearly, this couple makes Sorrento Hotel wedding photography look pretty great. Location: 900 Madison St, Seattle, WA 98104. Keywords: Hotel Wedding (48), Seattle (111), Sorrento Hotel (3).